Large parts of the areas where SRSP works have little access to public services because of the long geographical distances, thin spread of population and difficulties of setting up systems to address needs by public service delivery providers in such areas. Infrastructure Development is an integral component of SRSP, helping in socio-economic development of rural areas. 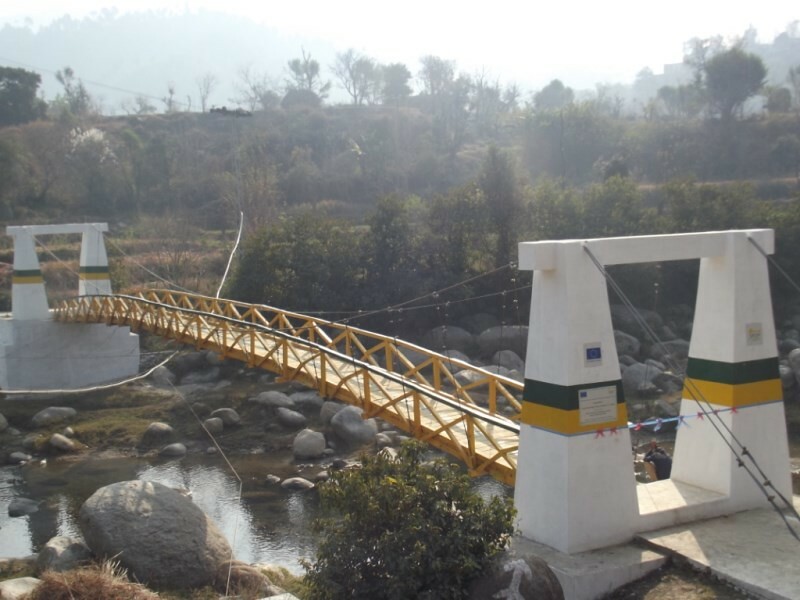 Through Community based approach SRSP has designed and constructed Bridges, Drinking Water Supply Schemes, Link Roads, Irrigation Schemes, Schools, Health Centers, Protection Walls and Mini Dams and Soil Conservation Schemes. It has benefited over 2 Million Households, with an investment of over 10 Billion PKR. In recent years Renewable Energy has become one of SRSP largest portfolios. It has build over 350 Microhydro units in the mountainous region of SRSP, supplying off-grid communities with cheap, environmental friendly and uninterrupted power supply. So far 27 Megawatt electricity is generated and is supporting over a population of 500,000 people. These projects have played an important role in improving health facilities, studying and have generated economic growth, witnessed by the rise of enterprises, hotel industry and flour mills and a multitude of new business startups. They have also led to reduction in Fossil Fuel usage and relieving pressure on precious forest areas. By community infrastructure development we mean those infrastructure projects which are identified by the communities, designed with their active involvement, implemented, monitored and sustained by them. SRSP contribution in renewable energy has not only been acknowledged by Donor agencies, but also by leading International organizations like ASHDEN which awarded its most prestigious award to SRSP in 2015. SRSP Microhydro initiatives have also been inducted into GNESD Energy Access Knowledge Base. Once the projects are designed and cost estimates prepared based on market rates, terms of partnership are developed for working with the communities. The communities establish implementation, audit, accounting and monitoring bodies which provide oversight for the projects and also contribute towards the building costs. All payment on projects are made directly to the community organizations through cross cheques delivered in open public meeting where the entire costs and expenses on a project are laid before the community. Many of the projects have been evaluated rigorously to determine their cost benefits, social returns and economic benefits. SRSP has experienced teams of Engineers who provide technical guidance and supervision for these projects and a good MIS system which maintains a record of them. For Details on SRSP CPI Activities please visit the Statistics section which contains the updated figures.